Heading out on vacation tomorrow so I’m going to take this opportunity to wish you all a very Merry Christmas and a happy New Year. Here’s two updates for you: Graphic Novel now planned for release the first week of January. It will truly be a work of art. 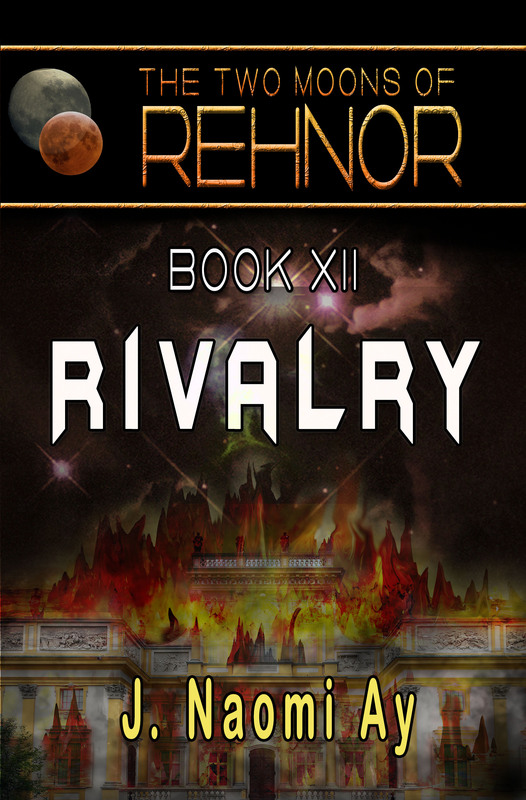 And, Book 12, Rivalry, look for it mid-January. How about an audiobook? Not everybody on your gift list a reader? Buy them an audiobook so they can enjoy the same great stories you have. And, guess what? Audiobooks are available in iTunes so they can even listen to them through their precious white earbuds. Here’s the current list of audiobooks available in The Two Moons of Rehnor series, and you can click the pic to be taken to the Audible store. *** Thad’s Mistakes (which I personally think is hilarious) is on sale for only $3.95!! Happy holidays to everyone out there enjoying this festive season. As the temperatures dip below freezing here in the fictional SdK Corporate Tower, I’m going to take the opportunity to update you on everything that is fictionally and non-fictionally going on. Yes, there will be a book 12. Suffice it to say, I’m going to keep churning out these stories as long as the voices in my head keep chattering. When they shut up, so will I but it won’t be a pretty sight. Furthermore, for those of you who have slogged through book 11, Imperial Masquerade, you know there are about a million cliff hangers (well, not a million, maybe 4 or 5) and I wouldn’t be so cruel to leave you all hanging on those proverbial cliffs. Expect the as of yet unnamed and still unfocused and unfinished book 12 in January…probably later as opposed to earlier. 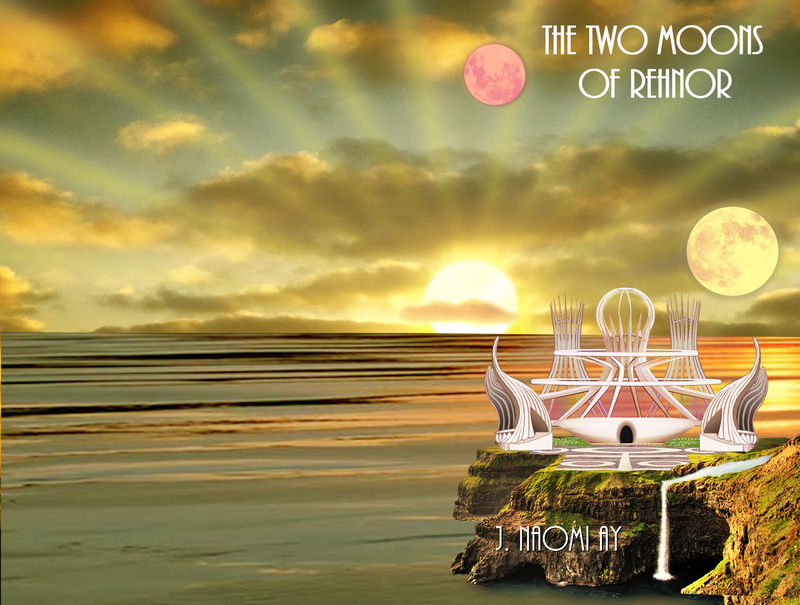 The graphic novel, The Two Moons of Rehnor #1 will be out in living color mid-December assuming we have no issue doing the upload. It’s going to be fabulous and well worth the wait. I will get back to the Time Tripping Adventure series too, probably releasing #2 in March. Lastly, the big news of the day is I have officially joined the 21st century and am now accepting both Bitcoin and Litecoin for ebook purchases. Although I don’t have a particularly good mechanism for processing orders yet, you can purchase the ebooks of your choice in the formats of your choice (MOBI, EPUB, PDF) and the coin you wish to use to pay by emailing orders@jnaomiay.com. My order processing department (also known as me) will respond with the addresses for either BTC or LTC. As soon as I get your funds, I will email the files back to you. To keep life simple and easy and due to the fluctuations of both coins, I’m setting a minimum price of BTC .006 or LTC .2 for each novel subject to change if the virtual coin bubble bursts. Novellas will be BTC .002 or LTC .1. Additional donations are always welcome. What better way is there to pay for a virtual book than with virtual money? That’s my wrap up for today. Thanks to all of you for your support and keep reading!